They are undead. They’ve been put to rest for years — perhaps decades. Buried and forgotten. But our complacency can be shattered in an instant when, with no warning, they are up and running again, leaving trails of contamination, threatening everything they encounter. 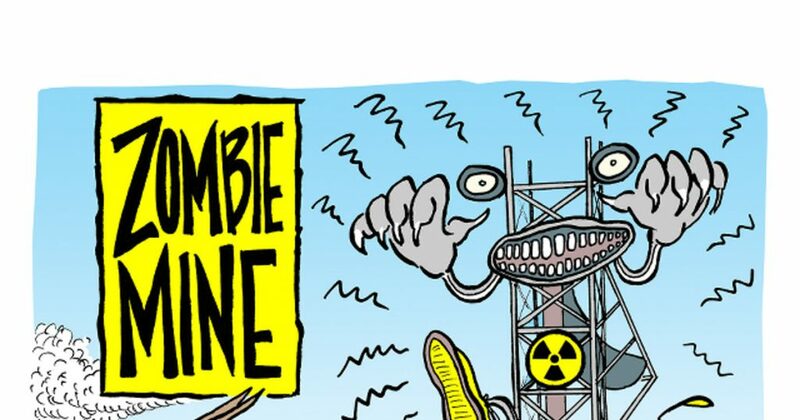 A zombie mine is a mine that has been shut down, but can be allowed to resume operations with no modifications to outdated plans of operation; no new environmental review. There are dozens of potential zombie mines across the Colorado Plateau. These unthinking, undead mines would be free to rage with no conscience for the environmental and cultural harm they cause. 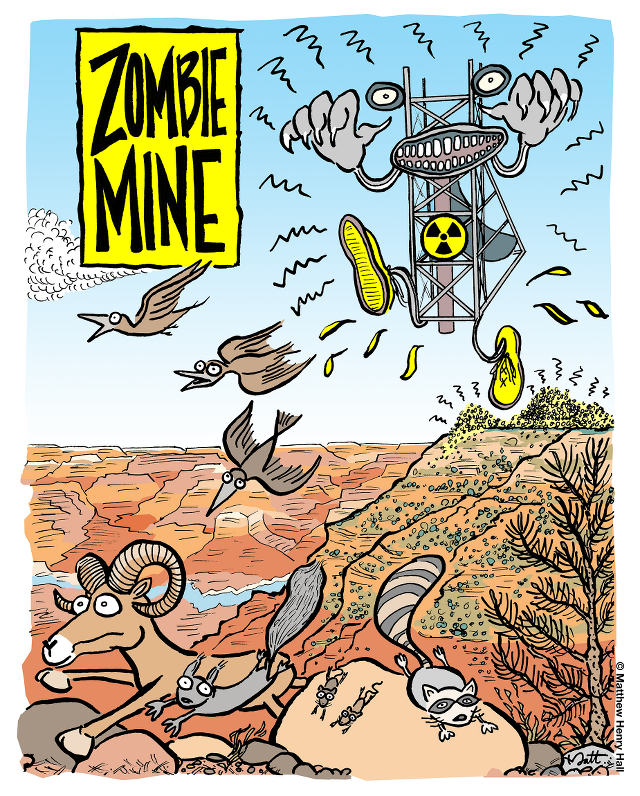 Zombie mines are not subject to the 20-year uranium mining ban achieved in 2009 by Grand Canyon Trust in a coalition of tribal, business, and civic leaders, hunting, fishing, ranching, and conservation groups, and county officials. Canyon Mine, only six miles from the entrance to Grand Canyon National National Park, began operating in 1986 over the protests and lawsuits of the Havasupai Tribe. Along with other opponents, the Havasupai objected to potential uranium mining impacts on regional groundwater, springs, creeks, ecosystems, and cultural values associated with Red Butte. The mine closed in 1992 when the price of uranium crashed. Groundwater beneath Canyon Mine feeds municipal wells, seeps and springs in Grand Canyon, including Havasu Springs and Havasu Creek. Although in 2010 the U.S. Geological Survey found dissolved uranium concentrations in this groundwater exceeding Environmental Protection Agency (EPA) drinking water standards, this mine was allowed to reopen — 26 years after it’s original approval; 21 years after it was declared nonliving. Other zombie mines on the Colorado Plateau that have resumed operation are Arizona 1 and Pinenut Mine. The government agencies tasked with protecting the environment have been zombified too — they have no will to stop the reanimation of these mines. Scared? You should be. The solution to zombie mines would be to update federal regulations for mining on public lands; to require a new environmental review after 10-years in the grave. Better yet: reclamation and closure. No sequels. In the meantime Grand Canyon Trust has filed a lawsuit to that would require Canyon Mine to undergo a new environmental review. If successful, it would set a precedent for potential zombie mines resting in their graves all over the Colorado Plateau. This is a process, risk, and an expense that mine operators do not want. It may be enough to keep these mines in the graveyard for good.